If there is one word that best would describe Craig Green’s second catwalk presentation it would be Antithesis. Chaos and control. Colour and darkness. 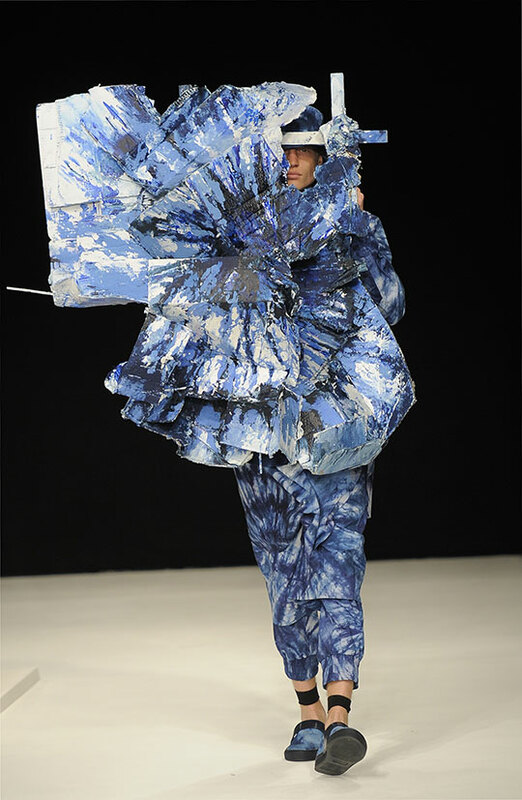 Garments with strangely conflicting rhythms and distortive qualities simmer in one instance and explode in the other. Once again Atopos cvc has been there to support Craig Green’s new collection that has been on show in Paris at the London Show Rooms Men (28th June – 3rd July, 2013). In addition, Atopos cvc proudly announced Craig’s participation in the exhibition “ARRRGH! Monstres in de Mode”, which would have been taking place at the Centraal Museum in Utrecht, between October 19th, 2013 and January 19th, 2014.